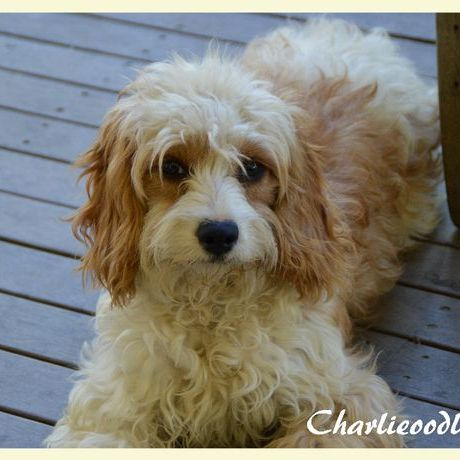 We often get asked what is the difference between a first generation and a second or third generation Cavoodle. 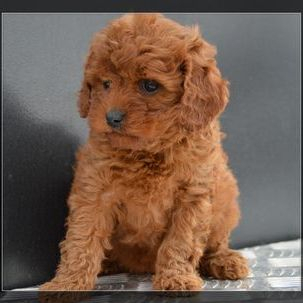 Quite simply put a first generation Cavoodle is the offspring of the cross between a pure poodle and a pure cavalier King Charles. 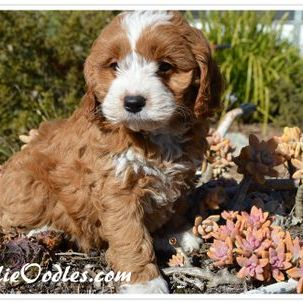 Many breeders only breed first generation cavoodles due to the consistency of the puppies usually displaying a fairly even mix of the two breeds. 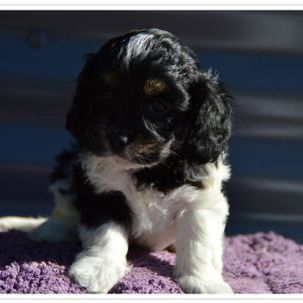 It is possible however for first gen puppies to be more poodle or cavalier in both look an temperament. 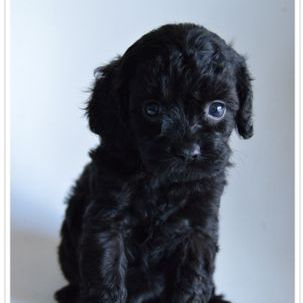 Parent 1 1st Generation Cavoodle x Parent 2 cavoodle (can be either 1st, 2nd, 3rd or 4th or fb2 Cavalier, Fb2 Poolde) As long as both parents are Cavoodles and one parent is an F1 the puppy will be classed as an F2. 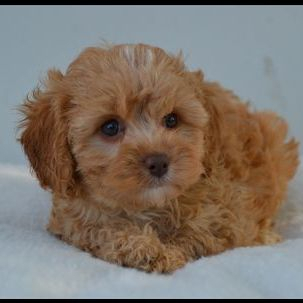 Parent 1 2nd Generation Cavoodle x Parent 2 F2 or above. 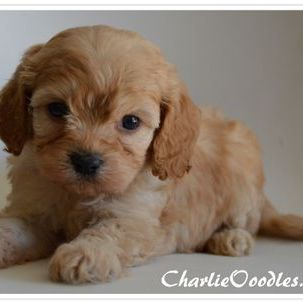 There needs to be at least 2 generations of Cavoodle breeding behind both parents for a puppy to be classed as F3. 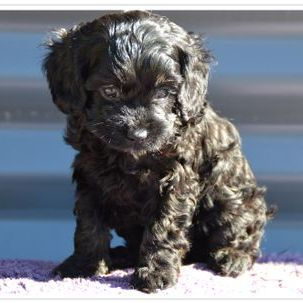 Parent 1 3rd Generation Cavoodle x Parent 2 F3 or above. 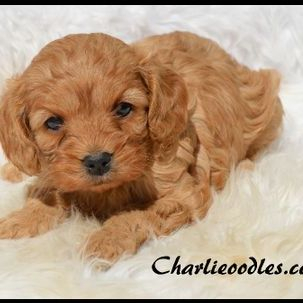 A puppy is classed as 4th generation if both parents have at least 3 generations of Cavoodle breeding behind them. 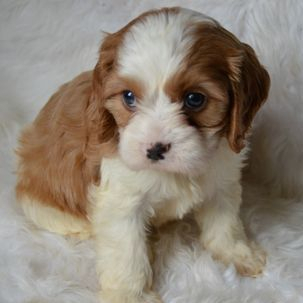 Parent 1 Cavoodle (Any Generation) x parent 2 Pure Cavalier King Charles. 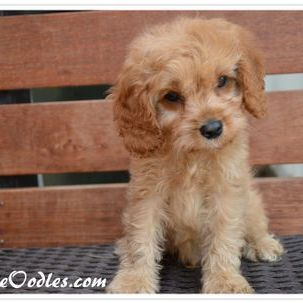 There are many benefits to breeding Generational Cavoodles and unfortunately a few disadvantages as well so litters must be carefully planned using dogs which have been carefully health screened both via genetic testing and also annually by good veterinarian. 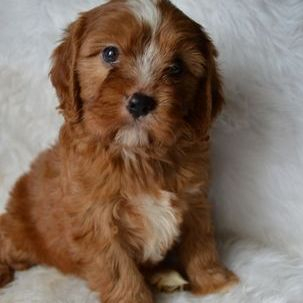 I have many reasons for breeding past first generation puppies, But my main reason I would say is my dedication to the breed. 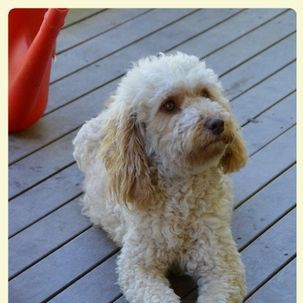 All purebred dogs today were developed many years ago by breeders using multiple breeds to create the desired traits and look they were after. 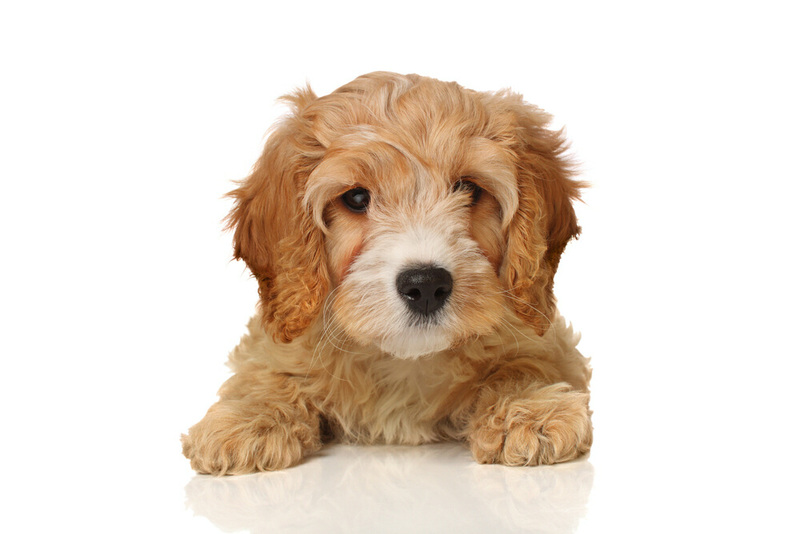 If you look into any purebred dogs history you can work out which breeds were used to create them. 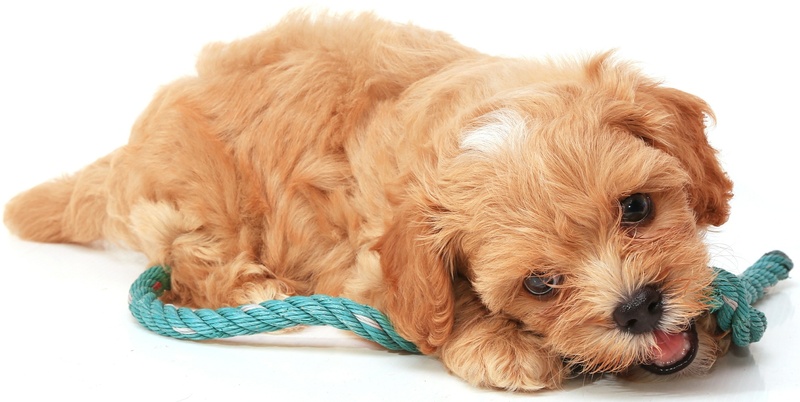 The creation of new breeds did not happen overnight, it was the result of many many years of planning and trial and error to come up with the final product. 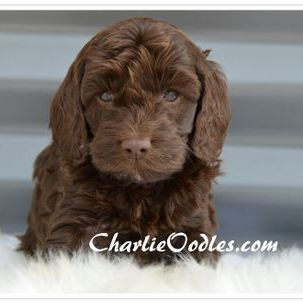 As already mentioned In the initial stages of breeding ie. 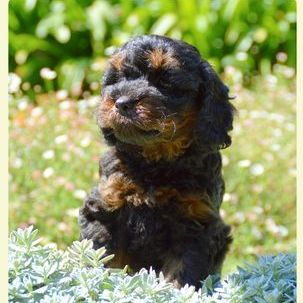 Second, third and fourth generation litters you often see double ups of certain genes giving the puppies a stronger Cavalier or Poodle resemblance, for example their coats. 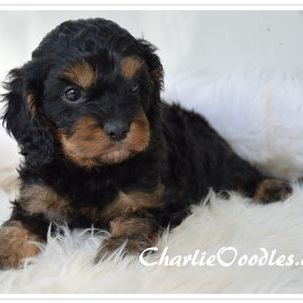 Some puppies will have the typical first cross fleece coat, some puppies get a double dose of the poodle gene and will have a wool (or curly) coat and the occasional few puppies will have a double cavalier dose resulting in a straight coat (similar to a Cavalier coat). 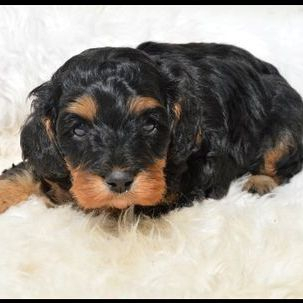 It has been our experience over years of breeding that the straight coat must be recessive as we don't often see straight coats it in our puppies. 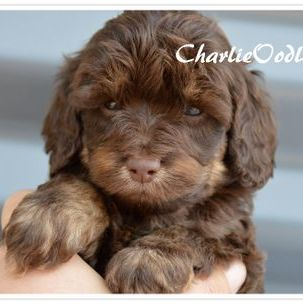 From my research Cavoodles wont actually breed true until around the 7th generation so we still have many years to go, but we are extremely proud of our accomplishments thus far. 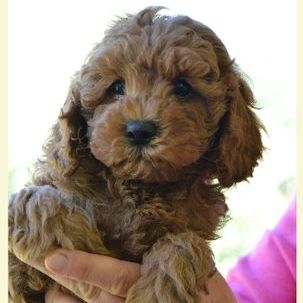 With each generation we breed we are finding the puppies to be more and more consistent. 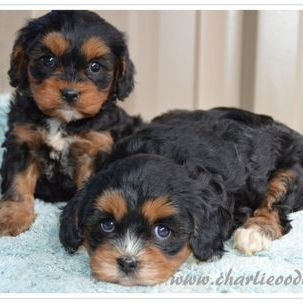 In 3rd and now more recently 4th generation puppies we have breed we are only seeing one or 2 puppies from the litter that either have a strong Cavalier resemblance or a strong Cavalier resemblance. 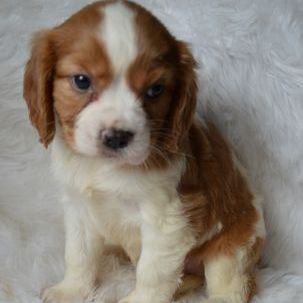 We are yet to find another breeder with the same dedication and compassion for the breed as us. 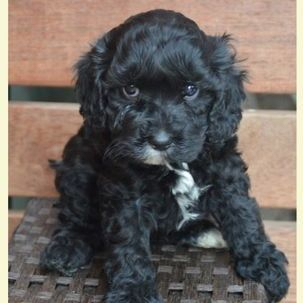 I would one day like to see the Cavoodle as a recognised breed. 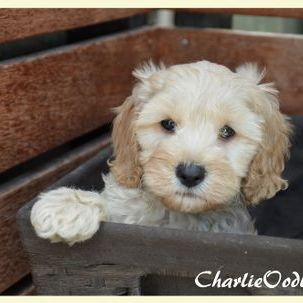 This is very unlikely with the Australian Canine Association but maybe one day there will be an Australian Cavoodle Association, like there is with the Labradoodles. 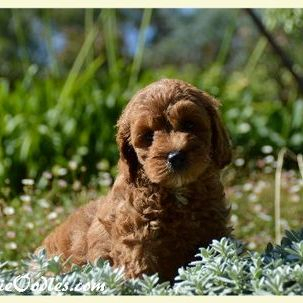 One of my favourite things about breeding generational cavoodles is the larger range of gorgeous colours available. 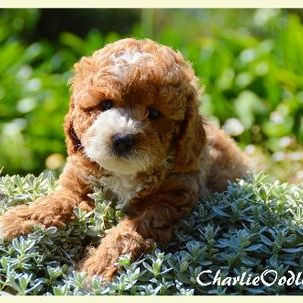 Please click here for more info on Cavoodle colours available at CharlieOodles. 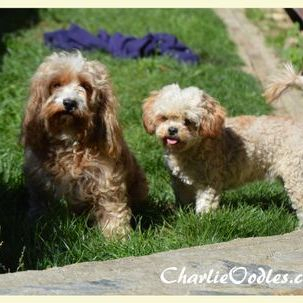 Below are some examples of puppies (and adult dogs) of different generations of Cavoodles. 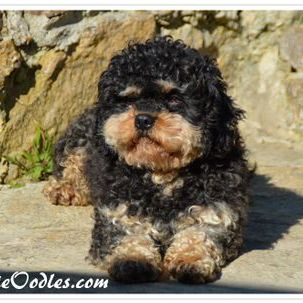 F2b Poodle's have become my favourite cross. 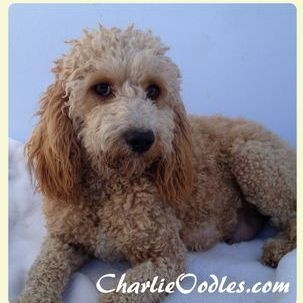 There are so many advantages to this cross including completely non shedding coats, substantially reduced chances of MVD (heart disease) and the coats are just amazing. 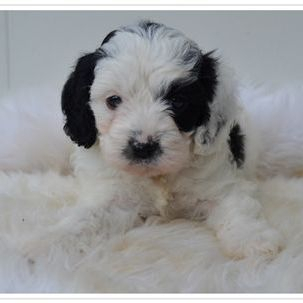 I love the shaggy coats which the majority of puppies tend to have. 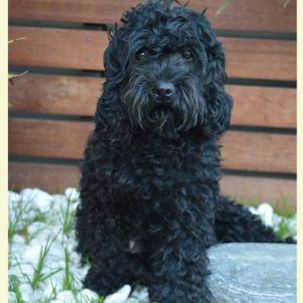 We still see a few completely curly coats like Rhonda in the second picture below, but most of the puppies have almost a mix between the fleece and the curly coat which grows out to have that gorgeous shaggy look like barney in the first picture below. 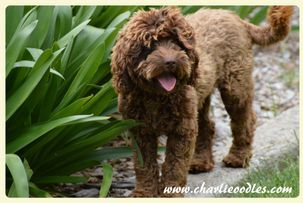 Nature wise they are just beautiful also, we get wonderful feedback which I think is attributed to the lovely nature both our Poodles Ruben and Milo have. 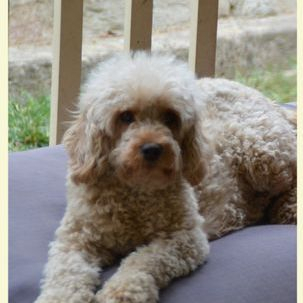 They are 2 of the most placid gentle natured poodles I have ever know. 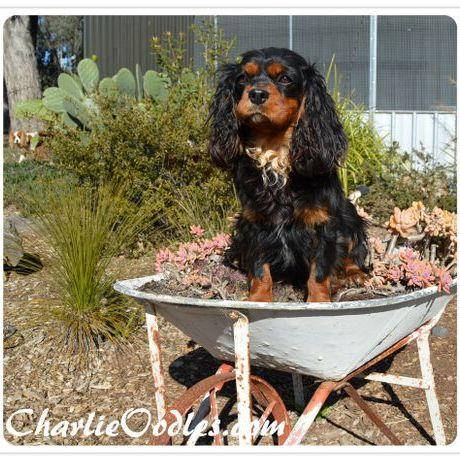 F2b Cavalier litters are few and far between at CharlieOodles. 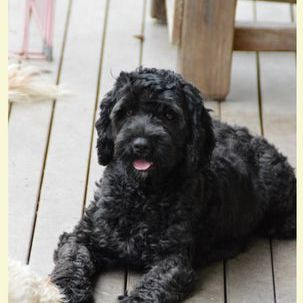 We usually only breed them when we are looking to add a female to our breeding program. 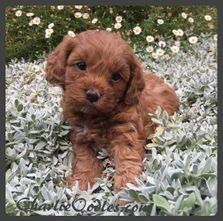 Fb2 Cavaliers crossed back to poodles have beautiful puppies, very consistent like first gens but they have the added benefit of reduced chances of MVD and the slightly more hypoallergenic coats without being quite as poodley looking as the Fb2 Poodles making them very popular.